They’re ripping us off — The chief executives of America’s top 350 companies earned 312 times more than their workers on average last year, according to a new report published by the Economic Policy Institute. The rise came after the bosses of America’s largest companies got an average pay rise of 17.6% in 2017, taking home an average of US$18.9m in compensation while their employees’ wages stalled, rising just 0.3% over the year. 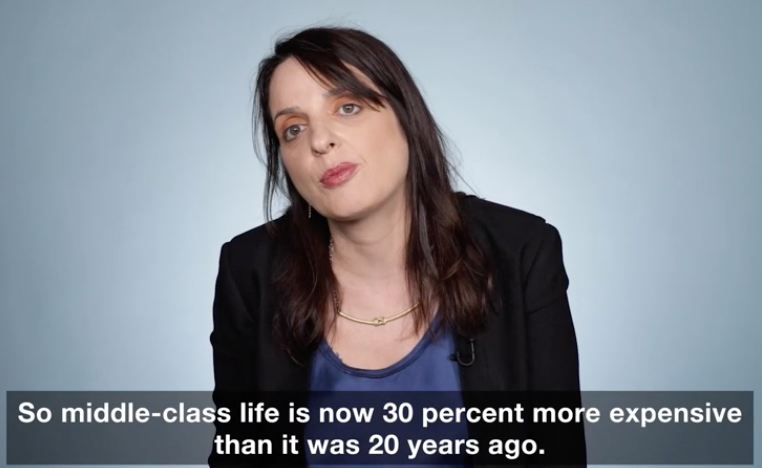 Is it any wonder young Americans are souring on capitalism? Less than half, 45%, view capitalism positively, representing a 12-point decline in young adults’ positive views of capitalism in just the past two years and a marked shift since 2010, when 68% viewed it positively. While we’re talking about inequality, over 300 newspapers have denounced Trump’s attacks on the media in coordinated editorials. Trade war — when Donald Trump had a brain-fart [does anyone have a better explanation?] and decided to embark on trade wars with America’s biggest trade partners, not many Americans realised what impact this would have in the shops. NPR has investigated what this may mean. Devices, data and destruction — Artificial intelligence will reshape the world of finance over the next decade. It will do so by automating investing and other services – but it could also introduce troubling systematic weaknesses and risks, according to a new report from the World Economic Forum (WEF). Facebook and the murder gf Rohingya — More than 1000 anti-Rohingya posts featuring calls for their murder among other hate speech were live on Facebook last week. But it seems the network is still being used to encourage violence against the Muslim minority in Myanmar despite the tech firm promising to tackle the issue. Speaking of which, the CW’s new Batwoman, Ruby Rose, is the latest high-profile actor to quit social media after facing harassment from so-called fans over her role. It’s becoming more common for actors and creators to leave social media platforms because of online abuse, enough that it’s starting to feel like an everyday annoyance we can ignore. It’s not. And we shouldn’t. German kids drowning because of parents’ phone use — The German Lifeguard Association (DLRG) has made a direct connection between children getting into difficulty in the water and parents being too busy on their mobile phones to notice. More than 300 people have drowned in Germany so far this year. People maim their pets to get opioids — A recent survey suggests that some people struggling with opioid addiction might be turning to a tragically desperate method to get more prescription painkillers: hurting their own pets. And veterinarians themselves may be abusing opioids or helping to illegally sell them. And forget peer pressure, future generations are more likely to be influenced by robots, a study suggests — The research, conducted at the University of Plymouth, found that while adults were not swayed by robots, children were. The weather — yeah, it’s really out there. Tiny though they are, microscopic phytoplankton, when infected with a particular virus, may influence atmospheric processes such as cloud formation, according to new research. This chunk of 99-million-year-old Cretaceous amber contains a beetle with bits of pollen around it. Surprising accelerator finding could change the way we think about neutron stars — Scientists using data from an American particle accelerator compared how protons and neutrons behaved in collisions between electrons and atomic nuclei. It’s an important nuclear physics result that has interstellar implications when it comes to understanding neutron stars, which are objects in space around 1.5 times to twice the mass of the Sun, but packed into a space less than 16km across. ~ This may surprise you, but it didn’t change my thinking coz I didn’t have any thinking (about neutron stars). An exoplanet has a surface so hot, it rips apart water molecules — It’s almost a star, but not quite; it’s an ultra-hot, Jupiter-like world located around 880 light years from Earth. It’s so hot, it rips water molecules into its components (oxygen and hydrogen), which makes it far different from any of the worlds in our own Solar System. ~ It looks more like a star than a planet. Ambitious Human Cell Atlas aims to catalogue every type of cell in the human body —For the last two years Aviv Regev, a professor of biology at MIT, has been co-leading a massive international effort to account for and better understand every cell type and sub-type in the human body, and how they interact. The Human Cell Atlas has received less attention than the US$3 billion Human Genome Project, which was completed in 2003 after 15 years of work, but it’s equally ambitious. ~ It’s all about those dang faulty proteins! Scientists have found a rapid way of producing magnesite which could one day help remove CO2 from the atmosphere — If this can be developed to an industrial scale, it opens the door to removing CO2 from the atmosphere for long-term storage, thus countering the global warming effect of atmospheric CO2. ~ Ah, storing it where, guys? Heat wave reveals the outlines of hidden garden and ghost village — British Isles heatwaves and wildfires have been revealing hidden signs of the past, from crop marks dating back thousands of years to giant signs meant to signal World War II pilots. At Chatsworth House, a Derbyshire estate perhaps most famous for its connection to Pride and Prejudice, the heat wave exposed the outlines of a long-gone world: the gardens and village that existed here back in the 17th and 18th centuries. ~ So, a visual guide to the pride and, presumably, to the prejudice. Easter Island collapse theory questioned — The indigenous people of Easter Island, the Rapa Nui, experienced a societal collapse after the 17th century because they stripped the island clean of its natural resources. Or at least, that’s the leading theory. An analysis of the tools used by the Rapa Nui to build their iconic stone statues suggests a very different conclusion, pointing to the presence of a highly organised and cohesive society. New research published in the Journal of Pacific Archaeology is now offering a different perspective, showing that the Rapa Nui people maintained a thriving tool-building industry during the time of their alleged descent into ‘barbarity’. ~ Time to carve out a new theory. Egyptians preserving corpses long before the Pharaohs — Researchers had long assumed mummies that predate Dynastic Egypt (which begins around 3100 BCE), were preserved somewhat spontaneously by the natural scorching and parched sand of a shallow desert grave. Scientists have often considered this hands-off approach to be a major precursor to the painstaking process of deliberate mummification that was refined over the next 2000 years and reached its apex during the New Kingdom era (c. 1550–1070 BCE), when embalmers excised organs and drained fluids before swaddling a corpse in strips of linen. But a new paper in the Journal of Archaeological Science suggests it was the result of a carefully concocted recipe, implying the body preservation culture predated the pyramids. 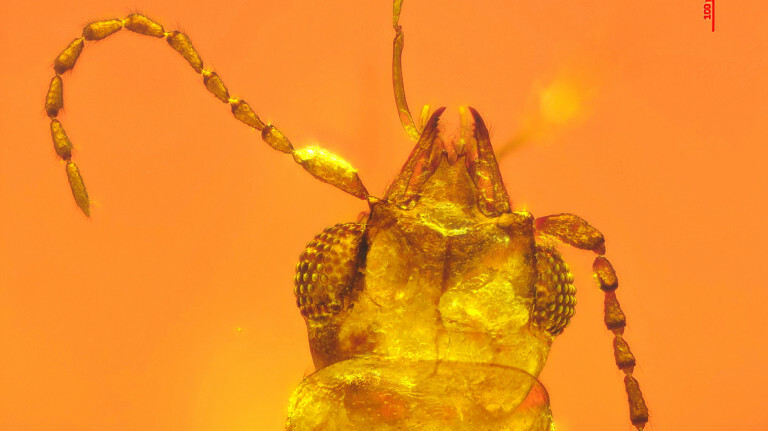 99-million-year-old beetle preserved in amber was a pollinator — Amber fossils containing bugs are nothing new, but the discovery of a beautifully preserved Cretaceous Period beetle with bits of pollen still around it is changing what we know about the planet’s earliest pollinating insects. This beetle belonged to the boganiid family, which are exceptionally rare in the fossil record, but are known pollinators of cycads. ~ A bogan insect indeed. Amateur spots birth of a supernova — Victor Buso was testing his camera-telescope setup in Argentina back in September 2016, pointing his Newtonian telescope at a spiral galaxy called NGC613. He collected light from the galaxy for the next hour-and-a-half, taking short exposures to avoid the Santa Fe city lights. When he looked at his images, he realised he’d captured a potential supernova: an enormous flash of light an energy bursting off of a distant star. Earth’s incredible, but is there anything else remotely like it? Aki Roberge, research astrophysicist at NASA, explained Earth is the only planet we know of where the presence of life has altered the atmosphere’s chemistry. If another Earth-like planet existed somewhere in the universe, we might be able to spot it by looking for a biosignature: spectral lines from chemicals such as methane, water vapour, oxygen, or other organic molecules indicative of life. ~ Or perhaps aliens waving us away, if they have any sense. New way to use DNA as a storage device — Researchers from the Waterford Institute of Technology (WIT) in Ireland have developed a way to use bacteria to archive up to up to one zettabyte in one gram of DNA. The technique uses double-strained DNA molecules called plasmids to encode data which is stored in the Novablue strain of the E Coli bacteria. ~ Although we’re still figuring out the ‘old way’ DNA stores info. Model brains reveal brain-folding physics — Brains fold in on themselves as they grow. How and why they do it is mysterious and studying it requires some pretty interesting science. Israeli scientists wanted to study brain folding from a physics perspective. Growing brain cells for study can be difficult, though — so they came up with a solution to overcome this obstacle: growing simple mini-brains on a chip under a microscope. Modernist cooking needs gadgets, tools and precise measurements— Science requires precision, and these tools allow you to combine perfect amounts and get perfect results. Ryan F Mandelbaum learns to cook like a gadget nerd. ~ This is why you don’t accept dinner invitations from scientists. Crikey, talk about deleting all joy from the kitchen! Antimatter in a van — Normally, scientists produce volatile antimatter in the lab, where it stays put in an experimental apparatus for further study. But now, researchers are planning on transporting it for the first time from one lab to another in a truck. Big data suggest urban farming — It makes intuitive sense that growing crops as close as possible to the people who will eat them is more environmentally friendly than long-distance shipping, but evidence that urban agriculture is good for the environment has been harder to pin down. A widely cited 2008 study by researchers at Carnegie Mellon University found that transportation from producer to store only accounts for 4% of food’s total greenhouse gas emissions, which calls into question the concern over “food miles.” A recent analysis of urban agriculture’s global potential, published in the journal Earth’s Future, has taken a big step toward an answer—and the news looks good for urban farming. ~ And there are co-benefits, from social implications to urban heat reduction. Plants appeared earlier than thought — For hundreds of millions of years, life on Earth was a purely aquatic phenomenon. The jump from the oceans to the continents was a monumental event, one that would irrevocably change the face of our planet. A new study suggests the first plants to make this evolutionary leap appeared much earlier than previously thought, and this affects our modelling of Earth’s atmosphere changes wrought by their impact. ~ Although that is a previous thought I haven’t previously thought. Museum has already published its 2040 edition. Earth-sized world just 11 light years away — Astronomers have discovered a planet 35% more massive than Earth in orbit around a red dwarf star just 11 light years from the Sun. Ross 128 b likely exists at the edge of the small, relatively faint star’s habitable zone even though it is 20 times closer to its star than the Earth is to the Sun. The study in the journal Astronomy & Astrophysics finds the best estimate for its surface temperature is between -60 degrees Celsius and 20 degrees Celsius. Proxima Centauri b is closer at less than 4.3 light years away from Earth and in the star system closest to our Sun. Even so, due to a variety of factors, Ross 128 b is tied for fourth on a list of potentially most habitable exoplanets, with an Earth Similarity Index value of 0.86. ~ Meanwhile, we are hell-bent on making our own Earth less Earthlike. Mystery of Earth being bombarded by antimatter — New observations of nearby pulsars – lighthouse-like neutron stars beaming energy – seem to have deepened a mystery that’s been bugging scientists for around a decade. The Earth is being hit with too much antimatter from outer space, and no one is sure why. ~ Veritably antimatter-spattered, we are. 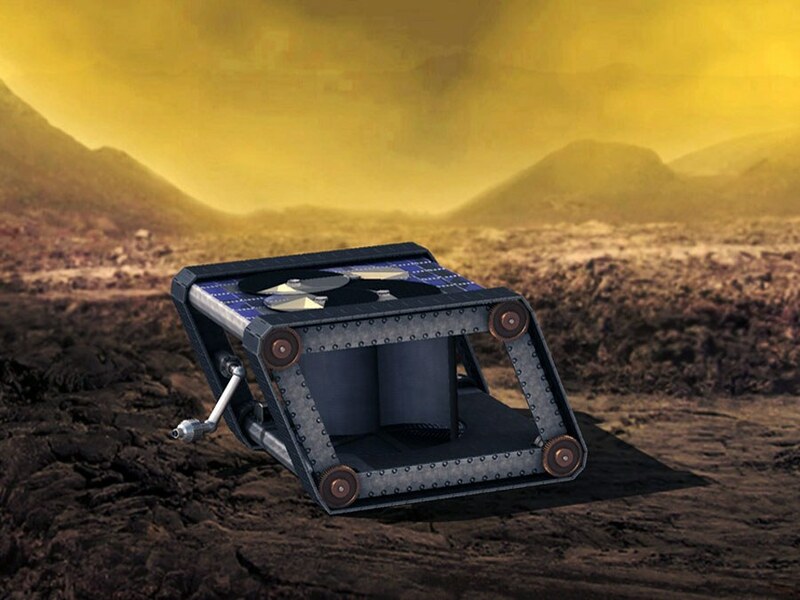 Moon Express MX-1E Lander is heading for the moon or bust — After multiple extensions and a couple of flameouts, five teams are racing toward the March 2018 launch deadline, and the cutest contender might be the MX-1E, an R2-D2–shaped lander designed by space startup Moon Express. ~ The MX-1E fits inside a launch vehicle from partnering with the New Zealand company Rocket Lab. 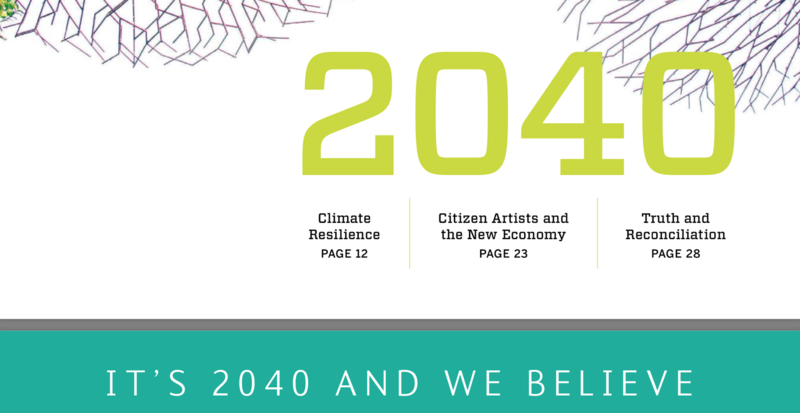 Museum magazine publishes 2040 issue — The Alliance of American Museums has just published an ambitious Nov/Dec 2040 issue of Museum, the Alliance’s magazine. The columns, reviews, articles, awards, and even the ads describe activities from a 2040 perspective, based on a multi-faceted consensus scenario. Besides virtual reality centers (and carbon-neutral cities), it envisions de-extinction biologists who resurrect lost species. It also predicts a 2040 with orbiting storehouses to preserve historic artifacts (as well as genetic materials) as part of a collaboration with both NASA and a new American military branch called the US Space Corps. And of course, by 2040 musuems have transformed into hybrid institutions like “museum schools” and “well-being and cognitive health centers” that are both run by museums. Should we be excited about Quantum Computers? They’re fragile, and need to be kept at temperatures close to absolute zero. Quantum computers aren’t much like the desktop PCs we’re all so familiar with – they’re a whole new kind of machine, capable of calculations so complex, it’s like upgrading from black-and-white to a full colour spectrum. Gizmodo goes further. ~ Solves things so complex we don’t even have the minds to boggle at their complexity. Scientists edit DNA within the human body — For the first time, scientists have edited the DNA inside of a patient’s body, in an attempt to cure a genetic disorder by permanently changing the human genome. The news represents a major landmark in science. ~ Now it has been edited, it’s called ‘human DNB’. 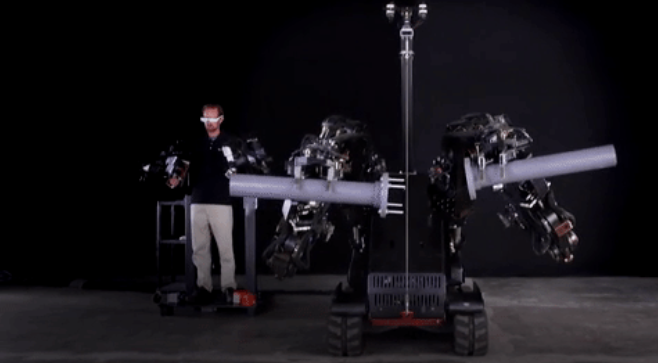 Robots advance, dance and enhance — Boston Dynamics’ ATLAS Robot is now a backflipping cyborg supersoldier [you know how we all need that] and wait till you see the firm’s new Robodog, and we’re already robotising our workers – but these are human workers with bionic enhancements working at Ford. Super-old people get their DNA analysed — Scientists looking for clues to healthy longevity in people in their 90s and 100s haven’t turned up a whole lot. It is thought that the DNA of the very old may be a good place to look, but people over 110 are one in five million in the United States. The New York Times has chronicled one scientific quest to collect their DNA. ~ So forget good health and sobriety, let’s find a magic bullet instead. New planets may lurk in the nearest system to ours — New observations show there’s at least one, but possibly three rings of cold dust around our nearest star, Proxima Centauri. 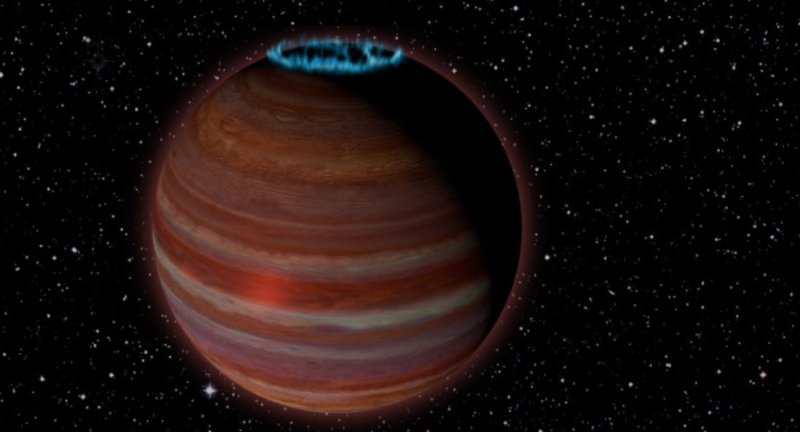 That could indicate the presence of more planets, according to new research. ~ Once we can count them, we can no longer denigrate this galaxy as Aproxima Centauri. Inside the world’s largest optical telescope — Wired goes 24.3 metres (80 feet) above a mirror 8.38 metres (27.5 feet) in diameter. 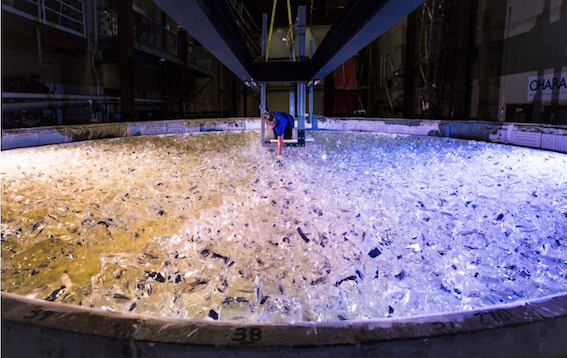 This disc of glass is one of seven mirrors that will eventually comprise the Giant Magellan Telescope. This mirror has already taken nearly six years – and US$20 million – to make. ~ Who’s the most complex mirror of all? ~ I’ve even noticed some actual human faces of unprecedented quality. 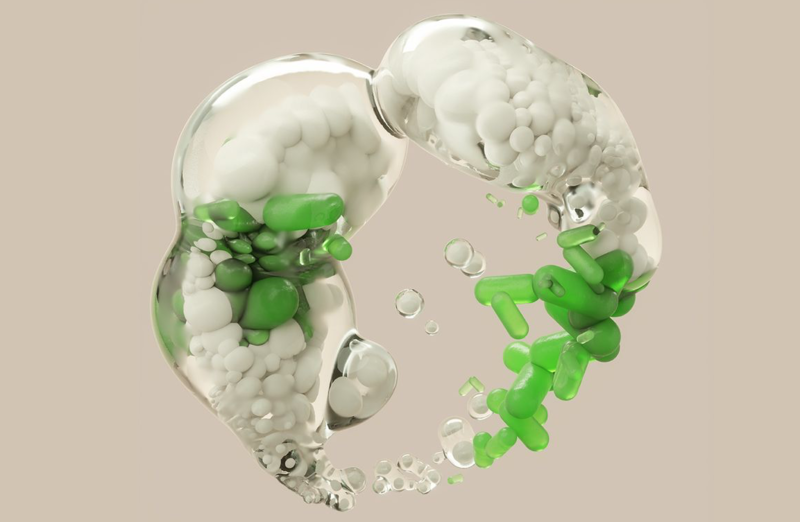 Scientists have mathematical proof it’s impossible to stop ageing — Mathematically speaking, multicellular organisms like us will always have to deal with a cellular competition where only one side will win. And ultimately, that means our vitality will always come out as the loser. ~ I’ve always felt that to hate ageing is to hate nature. Car companies collaborate for electric charging network — A group of automakers has created a new company to build a network of 400 fast chargers across Europe ahead of the wave of new electric cars they’ve promised in the next few years, as countries push EVs as a way to meet emissions goals. Ionity, announced Friday by BMW Group, Daimler AG, Ford Motor Company and the Volkswagen Group, will install a network of 400 high-power EV chargers across Europe by 2020. ~ To make the EeVee EeZee. Historians wrong about Roman vase — New research shows that the British Museum’s most famous artefact, the Portland Vase, was manufactured by a different technique than the one traditionally assumed by historians and archaeologists. For centuries, experts in antiquities have said the Portland Vase, along with other Roman cameo glass artifacts, were manufactured by the ancient Romans using a blown glass technique. Australian National University scientist and expert glassmaker Richard Whiteley is now challenging this longheld assumption, arguing that many cameo glass pieces were built with a cold-processing technique now known as paté de verre. ~ Ah, so it was a paté pot and not a vase at all … well, that blows that theory. At last we know where dingoes came from — It’s underwater now, but there used to be a land-bridge between mainland Australia and Papua New Guinea. A new DNA study shows dingoes migrated across this bridge between 8000 and 10,000 years ago in two waves. ~ They’re very attractive dogs compared to the miserable things that apparently existed in pre-European New Zealand. Ultra-powerful radio bursts may be getting a cosmic boost — The Very Large Array spotted a repeating radio burst that continues to puzzle astronomers. So-called fast radio bursts are enigmatic, ultra-brief, ultra-powerful bursts of energy coming from distant galaxies. They last for only a fraction of a second, but in that time they emit the energy of perhaps 500 million suns. Their power and brevity have created an astrophysical puzzle: What could possibly be making such blasts? James Cordes, an astronomer at Cornell University, thinks he can help explain not only the power of these repeating bursts, but also the seeming irregularity of their eruptions: clouds of charged gas, or plasma, in an FRB’s host galaxy could magnify the burst by as much as a factor of 100. ~ I see a great future for these plasma lenses. The ‘Kilanova’ — On August 17, 2017, over 70 observatories around and above the world, including ones like LIGO and the Hubble Space Telescope, all spotted a flash of energy. This light came in many different flavours, and was consistent with a pair of dense neutron stars colliding in a cataclysmic ‘kilonova’ explosion. So what did we learn from it? ~ Ah those binary star mergers! It will be a monopoly. First mass-produced electric truck — Japan’s Mitsubishi Fuso Truck and Bus has unveiled what it says is the world’s first mass-produced electric truck, as automakers around the world go all out to develop cars that run on battery power. The vehicle can carry about 3 tons of cargo and travel about 100 kilometres on a single charge. The truck, unveiled on Thursday, will be used by Japan’s largest convenience store chain, Seven-Eleven. ~ Just chuck some spare batteries in the glovebox for emergencies. For the love of robots — In summer 2002, mid-morning in a university research lab on the edge of Osaka, Japan, two girls were dressed in pale yellow, with child-puffy cheeks, black shoulder-length hair, and bangs. They stood opposite each other under fluorescent lights. ~ I’d prefer an iOS replica, obviously. Optical fibre network could be a giant earthquake sensor — Researchers at Stanford have demonstrated they can use ordinary, underground fiber optic cables to monitor for earthquakes, by using innate impurities in the fiber as virtual sensors. They plan a larger test installation in 2018. 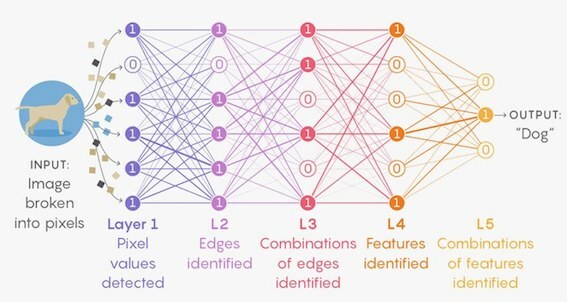 Their biggest challenge, they say, will not be perfecting the algorithms but convincing telcos to allow their sensor technology to piggyback on existing telecommunications lines. Whales and dolphins grew big brains coz peer pressure — The human brain has evolved and expanded over millennia to accommodate our ever-more-complex needs and those of our societies. This process has given us the big brain we need to communicate, cooperate, reach consensus, empathize, and socialize. The same is true for cetaceans, like whales and dolphins, it seems. These sea creatures also grew big brains in order to better live in societies, according to a study published on Oct. 16 in Nature Ecology & Evolution. ~ Unfortunately, we live tenuously these days by the grace of those with small brains. Australian army turns to VR for resilience training — In an effort to help troops with the psychological stress of deployment, University of Newcastle will lead a $2.2 million project to explore what uses virtual reality can have in resilience training. Christopher Pine, Minister for Defence Industry, has announced $2.2 million of funding by the Defence Science Technology Group and the Australian Army to explore how stress changes the way the brain works. ~ I’m not sure if being virtually resilient will translate to being actually resilient. The Higgs Boson’s twin could reveal our universe’s dark sector — The words most powerful particle accelerator, the Large Hadron Collider at the CERN laboratory near Geneva, has failed to find any of the hoped-for particles that would lead physicists beyond the Standard Model of particle physics. But it’s possible the LHC has been producing such pivotal new particles all along, and that we’re just not seeing them. ~ I’m definitely not seeing one. Laser light forges graphene into the third dimension — The wonder material graphene gets many of its handy quirks from the fact it exists in two dimensions, as a sheet of carbon only one atom thick. But to actually make use of it in practical applications, it usually needs to be converted into a 3D form. Now, researchers have developed a new and relatively simple way to do just that, using lasers to ‘forge’ a three-dimensional pyramid out of graphene. ~ So soon we may move from ‘wonder’ to ‘usable’? How accurate a clock do you really need, honestly? A team of physicists lead by Sara Campbell at the National Institute of Standards and Technology used the weirdness of quantum mechanics to create the most precise atomic clock yet. This clock employs atoms vibrating in three dimensions, using laser light to trap them in a sort-of miniature modular bookcase where they count down the tiniest measurable time units. The clock could one day help scientists devise some mind-boggling experiments. ~ They’re my favourite kind of experiments. Rice University adds asphalt to speed Lithium metal battery — The Rice lab of chemist James Tour developed anodes comprising porous carbon made from asphalt that showed exceptional stability after more than 500 charge-discharge cycles. A high-current density of 20 milliamps per square centimeter demonstrated the material’s promise for use in rapid charge and discharge devices that require high-power density. ~ So now I’m picturing all the battery manufacturers lining up to get their asphalt. Elon Musk says Tesla could rebuild Puerto Rico’s power grid with batteries, solar — After Puerto Rico was hit by hurricane Maria, Tesla quickly started shipping hundreds of its Powerwall batteries there to try and get power back on to some houses with solar arrays. Now, Tesla CEO Elon Musk took to Twitter to say that Tesla could rebuild Puerto Rico’s power grid with batteries and solar on a bigger scale. Puerto Rico’s electricity rates were already quite high at around $0.20 per kWh and reliant on fossil fuels. ~ Unfortunately there are issues arising with installers ripping off desperate clients. Osprey-derived V-280 may finally be ready to replace US military helicopters — When fully operational, the V-280 Valor should offer double the speed and range of the conventional helicopters it’s aiming to make redundant. The V-280 is smaller, simpler, and cheaper than the massively complex V-22, which dates to the late ’80s. Bell designed and built the V-280 from scratch, always with an eye on making it easy to assemble and maintain, with lessons learned from building the V-22, a joint project with Boeing. 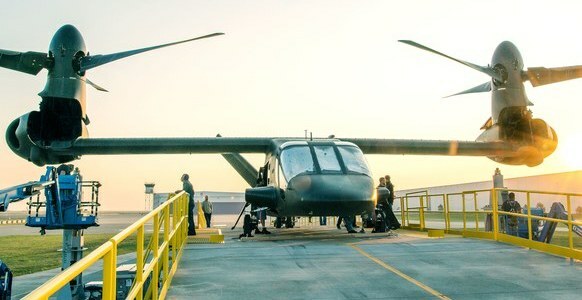 ~ This could be a revolution for the military, sure, but easy-to-fly must surely have non-military benefits, to, around freight and accessibility? Humans today have even more Neanderthal DNA than we realised — A international team of researchers has completed one of the most detailed analyses of a Neanderthal genome to date. Among the many new findings, the researchers learned that Neanderthals first mated with modern humans a surprisingly long time ago, and that humans living today have more Neanderthal DNA than we assumed. The resulting study, now published in Science, confirms a bunch of things we already knew about Neanderthals, while also revealing things we didn’t know. ~ I think I’d worked this out just from following Twitter and the news. A note about this once-a-weekend blogpost, which I call Futurology (another entry in a succession of words I have tried to invent over the last three decades). I started this as there was a lack of Apple news on weekends and I’d discover all sorts of non-Apple-related links in my week of web crawling. I start out in space, but I don’t stay there: the column moves on to interesting inventions, and when theres revelatory news about the past, back in time, so don’t be put off by a picture of an asteroid or something, glance down to see if there’s anything else that interests you! Is it an asteroid? A comet? Both? Observations by the Hubble Space Telescope are revealing new details about a strange binary asteroid that’s performing double-duty as a comet. It’s the first time scientists have ever seen such a thing. Back in 2006, Spacewatch discovered an asteroid named 300163 (2006 VW139). Astronomers using the Pan-STARRS telescope detected some comet-like activity coming from the object in 2011, so it was also given a comet designation of 288P. But things have changed again. When the object made its closest approach to the Sun last year, a German-led team of scientists used the NASA/ESA Hubble Space Telescope to make observations, revealing not one but two asteroids. Which means it’s a binary system. ~ Well, I’ve committed that catchy name to memory! Disturbing New Zealand AI baby plays the piano — A New Zealand company called Soul Machines has built a disturbingly lifelike virtual baby powered by artificial intelligence software. 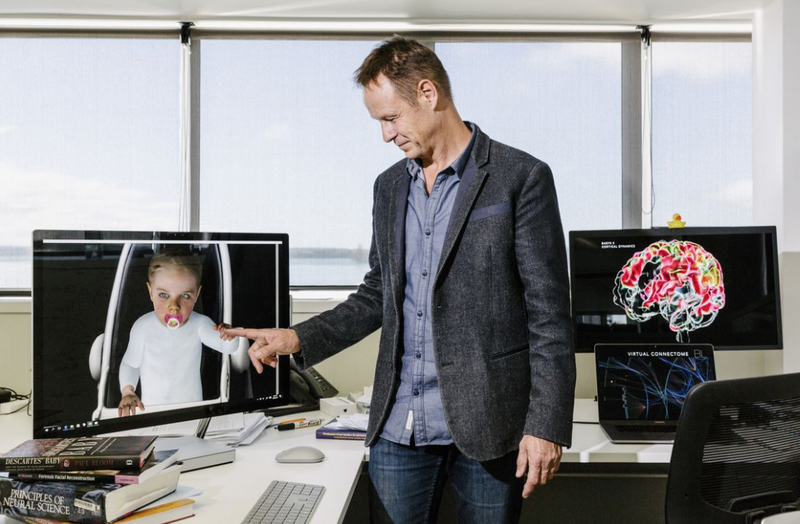 BabyX, the virtual creation of Mark Sagar and his researchers, looks impossibly real.. The work is built off the research of Mark Sagar, the company’s CEO, who is on a quest to mimic human consciousness in a machine. Sagar used to work at Weta creating lifelike faces for films like King Kong and Avatar and is now building these very realistic looking virtual avatars and pumping them full of code that not only handles things like speech but that also replicates the nervous system and brain function. Electric cars of the future — This year’s Frankfurt show, the largest of its kind in the world, was packed with designs that preview all those new models coming over the next few years. If you want to see where the auto industry’s headed over the next decade and beyond, just take a whirl through the gallery above, and get ready for a real shock. ~ EVs still aren’t making an impact, but they all soon. 3-wheeler retro-futurist car — The proposed specs on the NOBE, with a design is clearly based on a late ’50s to early ’60s-era European automotive design vocabulary, are that its electric, making a maximum 45kW, or 60 horsepower – pretty substantial for something like this. That 60hp seems to be spread over three motors each making 20hp. ~ It has a novel charging method, too. Wheels and tyres that adjust to conditions — Continental has a tyre concept that can adjust itself to suit the weather conditions and your driving intentions. The Continental ContiAdapt is a smart wheel which can change between four different pre-set widths to suit wet, uneven, slippery and normal road conditions. “Micro-compressors” in each wheel expand or contract the variable width rim to suit the driving conditions – normal road conditions call for a small contact patch and high tyre pressure, where a larger contact patch and lower pressure means more grip for slippery conditions. ~ So rich people in the best cars can feel even safer, no doubt. Molecular robot builds molecules — Scientists at The University of Manchester in the UK have created the world’s first “molecular robot” that is capable of performing basic tasks including building other molecules. The tiny robots, which are a millionth of a millimeter in size, can be programmed to move and build molecular cargo, using a tiny robotic arm. Each individual robot is capable of manipulating a single molecule and is made up of just 150 carbon, hydrogen, oxygen and nitrogen atoms. ~ Anyone seen that molecular robot? Chinese vaccine against tooth cavities — Scientists at Wuhan Institute of Virology, Chinese Academy of Sciences developed low side effects and high protective efficiency using flagellin-rPAc fusion protein KFD2-rPAc, a promising vaccine candidate to banish tooth decay. In rat challenge models, KFD2-rPAc induces a robust rPAc-specific IgA response, and confers efficient prophylactic and therapeutic efficiency as does KF-rPAc, while the flagellin-specific inflammatory antibody responses are highly reduced. ~ Hope it fixes rat-breath at the same time! Australian migrations via Aboriginal artefacts — Decades after collection, hair samples long filed away in small manila envelopes have become a source of DNA for Ray Tobler and Alan Cooper. Specialists in ancient DNA at the University of Adelaide, they wanted to know how humans first migrated across this continent, thousands of years ago. ~ Yes, thousands of years before white invaders ‘discovered’ Australia.